Didn’t end on the best terms with your ex? Show off your passive-aggressiveness by naming a cockroach after them! Cute! 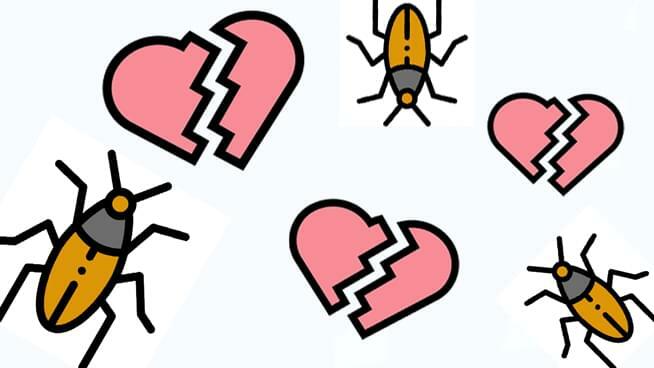 The Hemsley Conservation Centre outside of London is “offering the chance to name a cockroach in honor of your friend’s worthless ex-‘someone’ on this special holiday of love”, according to their site. There is even an option to have your ex’s first name featured on a roach board at their facility. The cost is about $2 USD, and the deadline to submit is February 10th, so they have enough time to prepare the roach board. They say diamonds are forever… psh! Cockroaches are supposed to be the only thing that survives the apocalypse, so this truly is a gift that lasts forever.